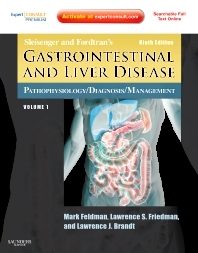 Make optimal use of the newest techniques, technologies, and treatments with Sleisenger and Fordtran's Gastrointestinal and Liver Disease - the indispensable information source in this broad field! Edited by Mark Feldman, MD, Lawrence S. Friedman, MD, and Lawrence J. Brandt, MD, this 9th Edition equips you with the amassed knowledge of hundreds of respected authorities from around the world, helping you to overcome all of your most complex clinical challenges and make the most effective use of the newest techniques, technologies, and treatments. Significant updates on bariatric surgery, Barrett's esophagus, and many other evolving areas keep your practice current. Full-text online access includes downloadable illustrations and links to reference abstracts. The result remains the indispensable core reference in gastroenterology and hepatology. World-renowned experts provide reliable guidance on every area of your field. A consistent, full-color chapter design lets you find information quickly.